Help prepare your people for the future of work. Like years prior, 2019 will witness business transformations along with major technological, socio-cultural, and economic changes. These changes will greatly influence the way we work, bringing many opportunities for HR professionals, employees, and business leaders. 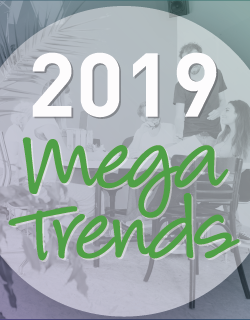 To help organizations stay up to date and keep their people top of mind, Ultimate Software’s experts have summed up the mega trends to expect this year, along with solutions that can help along the way. In this interactive experience, discover the three HR mega trends that your organization could face in 2019, and learn how UltiPro® can help. Fill out this brief form now to learn more.